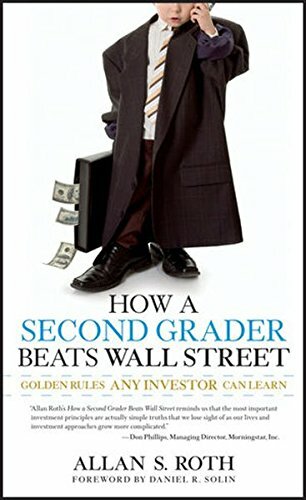 In How a Second Grader Beats Wall Street, you'll followthe story of Kevin Roth, an eight-year-old who was schooled insimple approaches to sound investing by his father, seasonedfinancial planner Allan Roth, and discover exactly how simple itcan be to become a successful investor. Page by page, you'll learnhow to create a portfolio with the widest diversification andlowest costs; one that can move up your financial freedom by adecade and dramatically increase your spending rate duringretirement. And all this can be accomplished by using some commonsense techniques. Along the way, Kevin and his dad discuss fresh, new approachesto investing, and detail some tried-and-true, but lesser knownapproaches. They also take the time to debunk the financial mythsand legends that many of us accept as true, and show you what itreally takes to build long-term wealth with less risk. With just a little time and a little work, you can become abetter investor. With this book as your guide, you'll discover howa simpler approach to today's markets can put you on the path tofinancial independence. What All Stock & Mutual Fund Investors Should Know! Updated Edition, Learn Money-saving Tips and Solid Advice on How to Become a Smarter Investor! By Bruce Sankin & Associates, Inc.